I cannot save myself, but I can save him from the brain damage. But I want to sidestep them all and ignore the calls, texts, and invites even more. You see, I am convinced this morning that if I’m not going to get married, I should not become attached. If I’m not intending to attach or share my heart with a man, I should not become accustomed to his company. If I don’t want to get used to his company (can you hear the “If You Give a Mouse a Cookie” story here? ), I shouldn’t date him, kiss him, spend time with him, or share any secrets with him. I am Not Marriage Material (NMM). When I write checks, I often forget to write them down. I’ve tried giving up writing them altogether, but somehow they find me again, pen in hand. I am really terrible with checking accounts. Really terrible. I cannot be on time. I try, really. I have lost dear sweet friends as a result of my inability to properly manage time. Why would I invite anyone into this mess? I would be inviting shame and turmoil and pain as well. I am sweet and kind (usually), and I have been told by more than my 9th grade boyfriend Tommy that I am a good kisser. 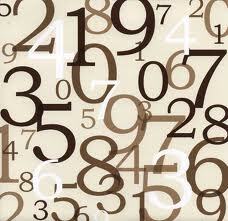 However, numbers are a problem for me despite a Master’s degree and 5 years of experience teaching high school math. Does that really apply here? Is there really hope I could work harder, be more diligent, master money and time, and be forgiven for my many numbers-related transgressions? Honestly, I picked that verse out of the blue and completely out of its context, so I have no idea if it applies to me. It sure sounds good. -2 children I love very much, more than the air I breathe. How could I consider bringing anyone into their lives that could potentially hurt them, even with something as innocuous as his presence and absence in my life? -2 marriages failed. I’m in a very special, elite club of folks and don’t want to become a member of an ever MORE elite club. -2 people. Only. Together for better or worse. Daunting, terrifying, inspiring, magnifying, electrifying, amazing, astounding and magnetizing. The last word, “magnetizing” is key. I’m drawn in anyway, like a moth to a flame. Where did I put my phone? Remember, Dear Reader, that this blog is about honest feelings, not honest reality. We all feel this way, and it can be disturbing. I write about it because I want you to know that when the thought passes through your mind, you know you are not alone. These blogs are meant to dig deep and share, not skim on the surface and be happy-happy all the time. After I share my feelings or ideas and work them over a bit, I always end up hopeful and faithful about my life. I also end up realizing the good is here now. I hope you do too after reading these. That is why the ending says “Where did I put my phone?”- I am drawn in to relationship despite my fears. I am glad I read the response you sent. You ARE EXQUISITELY marriage material. It is the rest of the schmucks out there that are not. 2 children is an asset. YOU have learned much from your 2 past marriages (you are not in a third for good reasons not bad), and being on time and balancing a check book are not significant things–deeply caring about people is. I have missed you a lot. Still in my own little hole a little bit. I fear I am less than inefficient these days, but I was thinking that I really wanted to learn about your travel plans for the summer so that we can really see each other this year. Thanks for stopping by the blog and leaving me your comments. Big hugs back at you. I’m sure you are not inefficient; you are just investing time where it is not showing up as productivity! I have missed you a ton too. You are such a sweet friend, and wise too. I’m really looking forward to catching up with you, however and whenever we do. It is always wonderful and inspiring. Sending you big hugs and love back! Yes, I change my mind every few weeks too about the whole thing- it keeps it all fresh!! Rock on Melissa with your path. I am impressed and inspired with your triathlon goals!